The Indian Smartphone market is being dominated by some of the key players in different price segment and reason why the company like HTC has to say goodbye to the market. Between all this, there is a company who is struggling to find the road back is BlackBerry. BlackBerry with Android is trying to create the space in the market and in order to do that company has launched two new smartphones in India under the licensee brand Optimus Infracom. The new devices are not only made in India but are also designed and conceptualized here. The Evolve and Evolve X will be a strong departure from BlackBerry's typical form factor with QWERTY keypads. 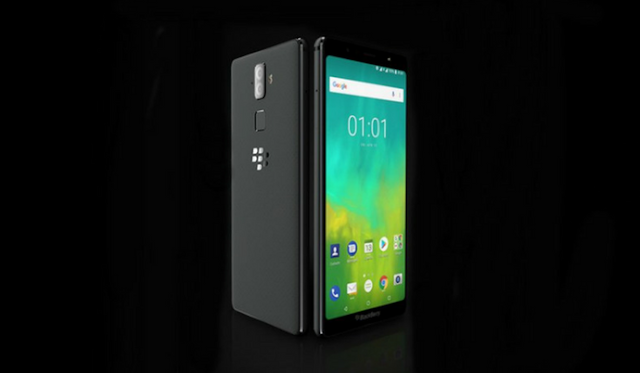 The new phones are only touch screens but assure a more secure Android experience, which is the value-add that blackberry brings with the Android operating system. Evolve X is priced above Evolve and comes with slightly better overall specifications. However, there are a few features that are common to both devices. It includes a rubberized back panel, Corning Gorilla Glass 5 protection and Series 7000 aluminum construction. Both phones feature a 5.99-inch FullHD+ display which BlackBerry calls FullView Display. The form factor is more conventional at 18:9 aspect ratio. Must Read: CAMON iTWIN in depth review: should you buy it or avoid it? The Evolve X is priced at Rs 34,990 and is only available on a single variant with 6GB RAM and 64 GB storage. The cheaper Evolve is priced at Rs 24,990 for the 4GB RAM and 64GB storage. The devices will go on sale in September via Amazon India. Later, Blackberry will make the two smartphones available via offline stores as well.